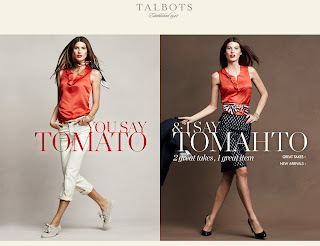 Now I never thought of Talbots as my style, but Talbots has evolved over the past few years from how I remembered it. Back in March I attended the Fall 2010 preview, in which I was actually drawn to the fitted blazers, classic suiting and mustard yellow and teal colors for fall. The skirts however, appear to be too long in length for my taste (right above the knee, but may even be even longer on me - I'd have to try one of their skirts on), but that can always be hemmed. There will come a day when mini skirts are no longer appropriate for my age, even if I still look like I'm 20 when I am 40. When that time comes maybe I will be shopping at Talbots! 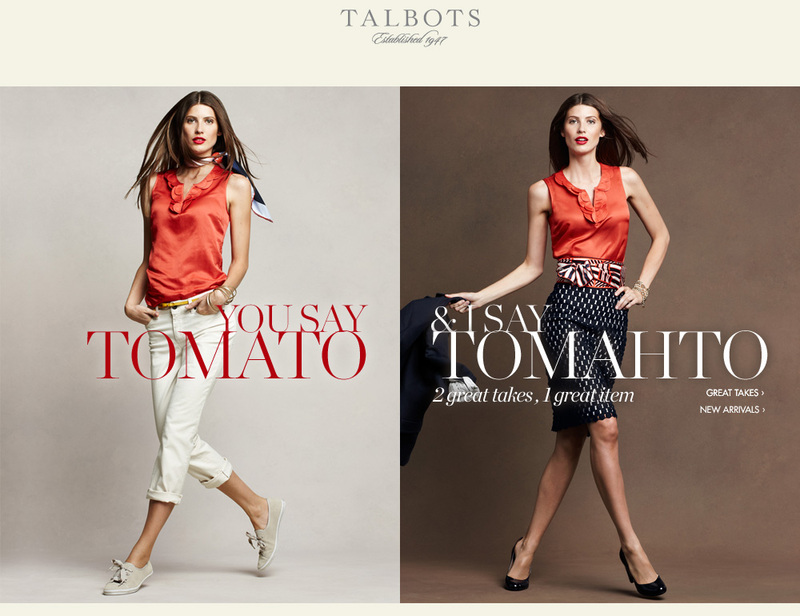 Talbots is trying to attract customers as young as 35. Their petite sizing starts at size 0, but size 00 would be even better! I will have to try their blazers on at some point to see what I really think of the fit. I do love these gloves on the right! I've have been looking for a pair of kitten heels, like this classic pair. Talbots does carry size 5, so I'll definitely have to try these on in-store! Here are some leopard handbags, belts and shoes. Leopard is a big trend you'll be seeing for fall (but not really my style). 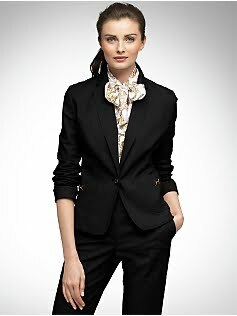 Here are some classic suit separates from talbots.com that I find appealing, with a tailored fit. It's hard for me to find pants that fit me well. Theory pants fit me the best and Banana Republic petites also has a great fit. I'd like to see how Talbots petites measures up.